A young Munchkin boy, Kiki Aru, discovers a forbidden magical word in his father's laboratory while exploring one day and gets himself into a world of trouble. Since Princess Ozma had decreed that magic was forbidden to be practice by anyone except Glinda the Good Witch, Oz has been lacking in magical adventures and Kiki quickly changes that. Kiki uses the magic word, 'pyrzqxgl,' to transform himself and others into animals, including an exiled Nome, Ruggedo. Ruggedo and Kiki plan an invasion of Oz, changing people to animals and vice versa to get their way. It falls into the hands of the Wizard to start changing things back to normal, with Dorothy there to assist him. They encounter several other familiar faces during their adventure, including Cap'n Bill and Trot. 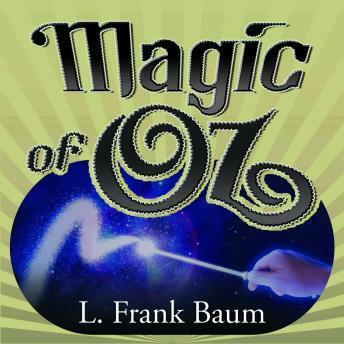 L. Frank Baum (1856-1919) was an American author of children's books, most famous for his 'The Wonderful Wizard of Oz.' Baum wrote 13 sequels to his first Oz book and still has a huge fan base to this day. 'The Magic of Oz' was the 13th book in the Oz series and was published one month after Baum's death in 1919. Magic of oz is amazing!